In our Local History & Geography topic yesterday, we first reviewed our Sunday field trip to the General John A. Logan Museum in Murphysboro IL. We are excited about a couple of cool follow ups to this field trip. On Sunday we were fortunate to be able to meet with the museum director, Mike Jones, and he offered us the possibility of visiting the current archaeological dig at the site of Logan's house, just a few hundred feet away from the museum. 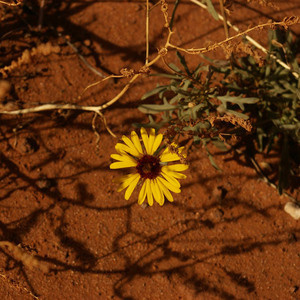 He said that my students will be allowed to seive through the top layer of 11 inches of dirt, which does not have archaeological significance, so that they can see how the process is done. That would be so cool! 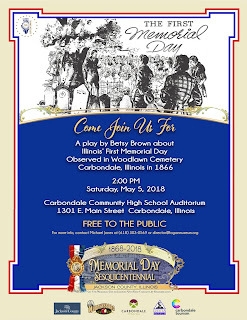 In other John A. Logan related events, there will be a play on Saturday, May 5th in Carbondale about The First Memorial Day. I have other ideas for field trips... and I am going to have Local History & Geography be the first main lesson block topic for everyone next school year. There are so many interesting things to cover! Live Education interprets this block as Local Industry & Geography, which gets you away from the problem of getting into historical events out of chronological order, and for us that will definitely take us into coal mining. I think this topic is fascinating... and since this year is the Illinois Bicentennial (1818 - 2018) it couldn't be more perfect timing. It is also the Memorial Day Sesquicentennial (1868 - 2018). My idea for this topic is that we will travel backwards through time, from the present all the way back to when the land that is now Illinois formed. I prefer to travel forwards chronologically, so this is a little bit of an experiment. If I find it is too confusing for students I will know not to do that that again! To lead up to our next field trip we are moving to the time period of the Ice Age animals and the Paleo-Indians. I borrowed the Illinois Department of Natural Resources bin "People and Animals for Illinois' Past" from the Giant City State Park Visitor Center and was excited to dig into it! I began this part of our session by reading The Wonderful Egg by Dahlov Ipcar. One of the things that I really like about this book, besides the gentle text, is that there is a page in the back which shows all of the included dinosaurs together... drawn to the same scale. Hooray! There's also a pronunciation guide in the back. I reminded students that we might be able to part of an archaeological dig, and that all that we know about the past, such as dinosaur times, is based on clues that we find in the present. Ipcar's book is from 1958 and some of the information may be out of date now. I told them about a story from my childhood, when the Iguanandon was first discovered and the spike which is on the hands was thought to be on the forehead. And I drew a little Iguanadon on the board, and wrote "Scientists Are Guessing." Of course, there's a difference between an educated guess and a random guess. Scientists make educated guesses based on what they discover. Then I told them there's a dinosaur which scientists changed their minds about and it disappeared completely! I remember that from my childhood too. And we read "Bye-Bye, Brontosaurus" on page 32 of Bone Poems. Then we went out into the field and unrolled my huge Titanosaur ball of finger knitting from last summer's From Lava to Life Camp. Time to open the bin and see what we know about the Ice Age and Paleo-Indians based on paleontological (the study of fossils) and archaeological (the study of human artifacts and remains) finds! Here is the complete list of bin contents (PDF). One really cool book in the bin was the Animals from Illinois' Past Activity Book. Link is to the free PDF of this booklet. Yay! After we read through the book -- we are saving the activities for next week when we review this -- we looked at the Mammoth Tooth replica and Mastodon Tooth replica. They are both enormous! The small box #3 has models of some of the animals. Moving from animals to people, the highlights of small box #1 were the sample of wooly mammoth hair from Siberia, the sinew, the mussel shell, the rawhide vs. the tanned hide, and the arrowheads. Small box #2 had samples of pottery and led us beautifully into the series of four foldout double-sided Peoples of the Past Posters. Illinois State Museum. 2002. Peoples of the past: four educational posters including facts and activities about Native Americans in Illinois. Illinois State Museum Learning and Activity Book Series. Illinois State Museum, Springfield, Illinois. These were wonderful -- beautiful and informative, yet simple -- and I really would like to buy a set for the classroom! I can't believe it is only $8.00! Watching the Bradshaw Foundation video of human migration from Africa (The Peopling of the World: Humankind's Global Migration), reading Now You Know About Animals of the Ice Age, looking at the modern biome map of North America with the stencil from Waseca Biomes, doing the activities from the Animals from Illinois' Past Activity Book, and looking at the contents of the poster pack included with the bin. Then it will be field trip time again! Happily, earlier this year we took a group trip to Cahokia Mounds State Park, so they've already seen exhibits about the Mound Builders. We did pages 10, 18, 19, 20, and 21 in the Animals from Illinois' Past Activity Book.